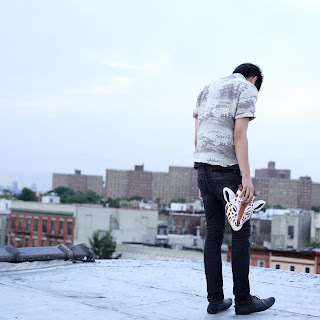 San Francisco native and producer Giraffage released his new mixtape yesterday called Needs, which is a mix of electronic, trap, and experimental all pieced together in one crisp sound. No longer is the mixtape just for hip hop and I'm glad we are starting to see more free projects from other genres and artists. While there is only 9 tracks, it is a perfect length of just over a half hour of smooth love ballads and classic cuts with his own spin on it. Really feeling this project, which I think you guys will enjoy. Stream and download below. Direct link to download in one shot here.